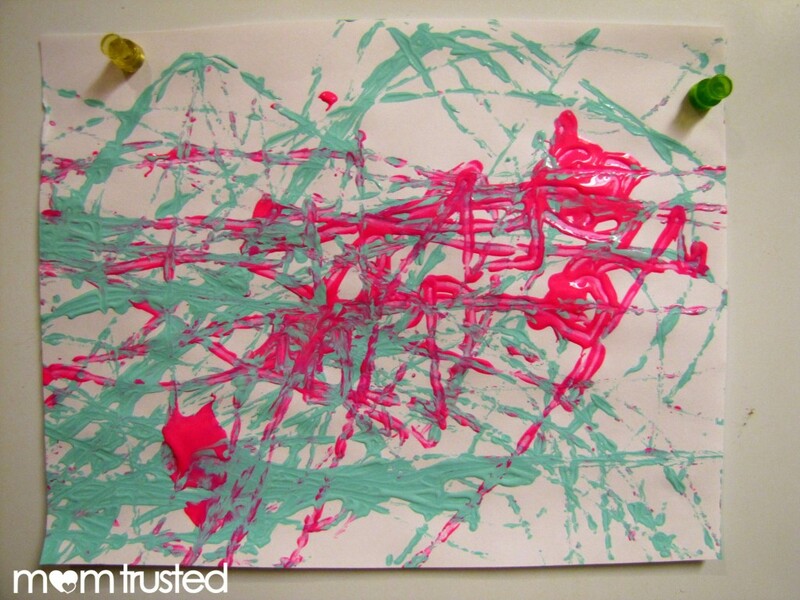 Create some surprising artwork, and roll some paint around with this unorthodox painting method! 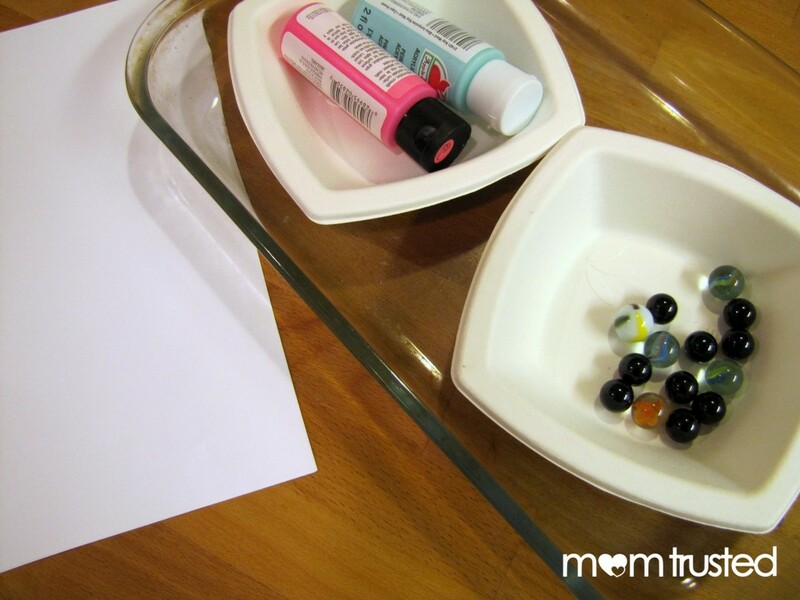 Split your marbles between two containers. 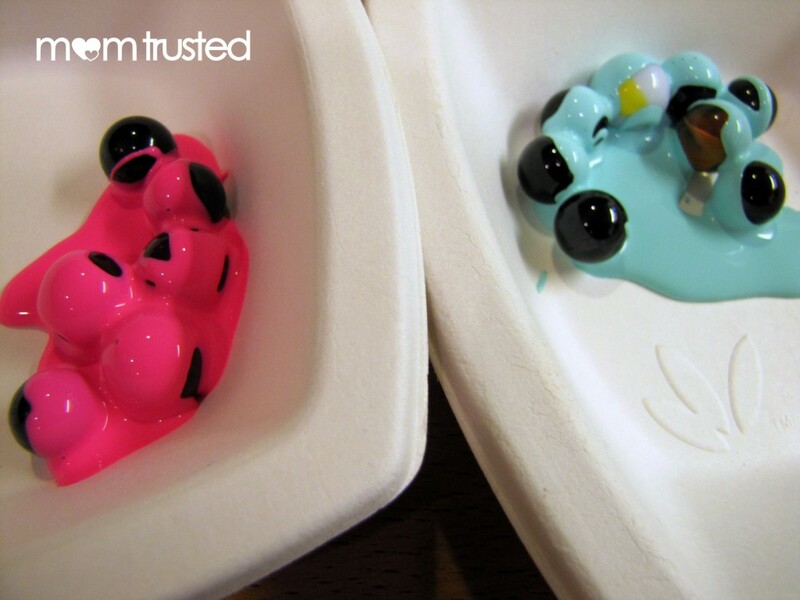 Then dump a good squirt of paint on them! 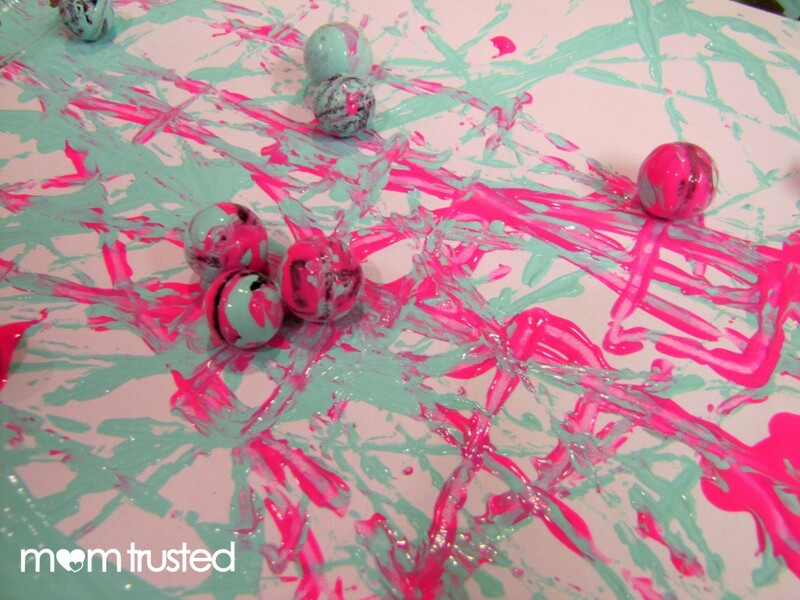 Roll the marbles into your baking tray, and then carefully roll them in every direction, leaving cool trails of paint! – regular copy paper fits in the bottom of a baking dish pretty well. That means this is a great chance to use the backs of some paper that’s been in your recycling!